Book by Father Aziz Yalap in Turkish: "Göçten Önce"
Buses filled with the Assyrian conventioneers descending upon Washington D.C. from Boston where they had earlier planned to socialize in the lobby of a crowded hotel. Now they are preparing to demonstrate for the rights of their brothers and sisters in their homeland. The protestors line up the streets around the White House and the Iraqi Embassy. CNN, FOX, and MSNBC reporters battle the crowd for a chance to interview the men and women chanting: "Religious Freedom For All in Iraq", "Not Another Islamic Republic Made in U.S.A.", "Legitimate Representation for Assyrians". The New York bureaus of the three large cable networks are baffled by the sudden public interest in the plight of the Assyrians. What's going on here, they ask. Why suddenly the largest Iraqi group in America has awakened and what is it demanding? Within two hours after the first report of the D.C. demonstrations the local television stations across America inform their New York and Los Angeles headquarters of their own not-so-little local demonstrations. Thousands of people march along the streets of Chicago, Detroit, Phoenix, San Jose, Los Angeles, Hartford, New York, San Francisco, Modesto, San Diego, even Miami to protest the treatment of the Christians of Iraq. Only a small portion of the protesters are Assyrian. The bulk of the crowd consists of the moderate Moslems, White and Black Americans from various churches, mothers and fathers of the men and women who lost their lives in the war in Iraq. CNN and FOX reporters then turn their attention to the Associated Press reports flashing from other corners of the world. In Moscow, Stockholm, London, Sydney, Tehran, Paris, and even certain areas of India, thousands and thousands of protestors jam the streets, holding colorful banners in multiple languages: "Provincial Authority for Assyrians in Iraq", "One People For One Iraq" and "What Would Abraham Think of His People Now?" Today we stand before history and before our Martyrs with our heads low. They offered their earthly existence so that one day we, as the emancipators of the land of Ashur, would lift our people out of the slough of servile submission to another man's authority, and bring forth the independence of Assyria. So far we have failed miserably. Everyone of us has a stained reputation. Some of us worked with the dictators, others knelt before the alien gods, a few spied for the foreign secret services, thousands of us left our homeland, and many more of us just gave up. But no sin was as detrimental to the grand plan of the founders of the Assyrian nationalism as that in which we ignored the signs of disunity among ourselves. Today we are paying a great price. 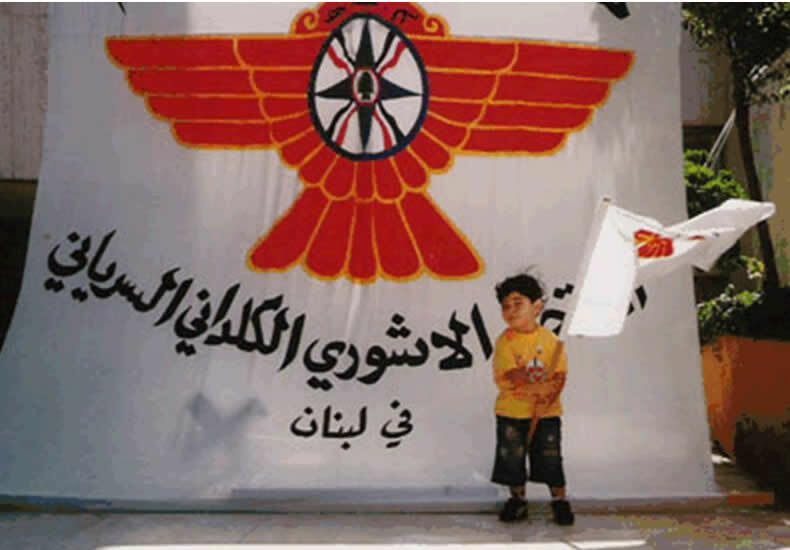 A young boy holds the emblem of the Union of Assyrians-Chaldeans-Syriacs in Lebanon. 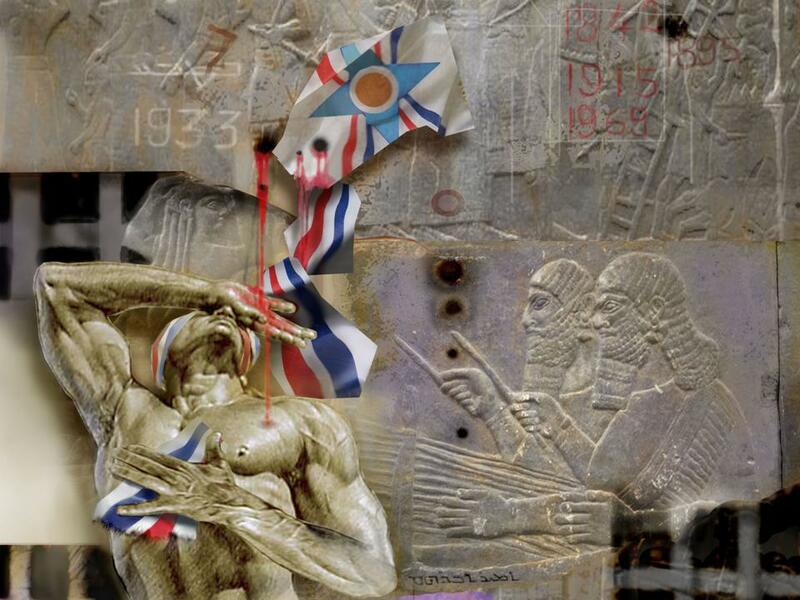 But the past remembers us every August 7th and we stand condemned before the souls of a million departed Assyrians. The purpose of this editorial is not to push us further into the depths of our remorseful conscious. On the contrary it is to remind us that now, as never before in our modern history, we have the means to be the masters of our own destiny in Mesopotamia. And we do not have to wait for a United States, a Britain, France or Russia to emancipate us. Did our Martyrs and our history not demonstrate the true volition of these so-called Christian emancipators in our homeland? We now stand against the unseen forces of the East and the West, each of them determined to take everything we had attained during our 7,000 history. We walk landless and wandering in the foreign lands, as our foes gaze their eyes upon our last two earthly possessions: our identity and our unity. If we do not act now, the land of Ashur will be christened with a Kurdish name, the term Chaldean replaced with Arab Christians, and Syriac will refer to a liturgical language of Iraq's Christian past. But we will not allow this to happen - ever ! Zinda Magazine's solemn call for unity and public demonstrations last week has galvanized Syriac-speaking communities around the world. Many complained of our short notice; no one objected. On Sunday, August 7th, several churches and cultural organizations will hold special events to commemorate the Assyrian Martyrs' Day. A day to remember the ultimate sacrifices of the men, women, and children whose only crime was their Christian and Assyrian identity. We urge you to attend these meetings and share your concerns with your church and community leaders. Most importantly, attend a Chaldean church if you are a member of the Church of the East, and pray in a parish of the Church of the East even if you have never stepped out of your Chaldean church before. Let our bishops and patriarchs know that no power on earth can divide our people - especially not the cloaked men payrolled by our weekly contributions and who profess the message of love and unity. Then on another day, soon to be determined, through our worldwide protests we must demonstrate our dissatisfaction with the direction that Iraq is taking toward the role of religion, federalism, minorities and women's rights. Neither Assyrians nor anyone who respects democratic values in a society can rightfully accept such preposterous statements as Islam (or any other religion for that matter) is the basic source for legislation. Islamic jurisprudence and Sharia cannot be a source for legislation in a western-style democracy. Neither can conventional Christian teachings and Judaic Talmudic laws. When used as the ultimate rules to govern people, these are simply tools to oppress women, the uneducated masses, the moderate and freedom-loving people who cherish humanity in all its cultural and religious angles. Prepare yourself and gather around other Assyrians, Chaldeans, and Syriacs for a date with destiny in a few days or weeks. This is not a time for biting and calumnious speeches. We must behave as soldiers and battle our foes with the courage displayed by our Martyrs. The departed souls of the Semele Massacre of 1933 and the Seyfo Genocide of 1915 have put forth before us a historic challenge. Shall we accept this challenge or return to our ghostly existence again? The answer is clear. We must rise above our enemies expectations and even our own. Where there is unity and harmony among diversity, a common name and identity shall unaffectedly follow. Much of what will determine the future of ChaldoAssyrians in Iraq will be decided with the adoption of a new constitution. Of course this is true for all Iraq’s peoples, but it is most significant for the indigenous Christian ChaldoAssyrian population. Shi’a, Sunni and Kurd communities will weather the storm and adapt. ChaldoAssyrians do not have the demographics and political wherewithal to suffer at the ongoing rate, regrettably. The first part of this short article lays the context and thinking behind the events and processes of constitution drafting in Iraq. The second part addresses the basic elements of what ChaldoAssyrians must aspire towards constitutionally for their sake and that of all Iraq’s people. If present trends are allowed to continue, the marginalisation of ChaldoAssyrians politically, economically and potentially in Iraq’s social fabric will turn the stream of refugees into a flood. Hope is not lost, but being completely forthright about present conditions is vital. Over a month ago the ChaldoAssyrian National Council of America gave the same warning in Zinda Magazine and its words are just as true today and being reaffirmed by events in Iraq in the build-up to finalizing a draft constitution for August 15th, 2005. Defining fundamentally clear constitutional principles and instruments has been an ongoing area of work among ChaldoAssyrians, Iraqis and the international community. It is a strange twist of fate that ChaldoAssyrians find themselves as they do presently. After making some of the greatest contributions to mankind’s civilizing project millennia ago as a sovereign society, they now have the chance to contribute to reestablishing prosperity and harmony in Iraq as its most vulnerable and indigenous community. The conundrum for ChaldoAssyrians is overcoming popular perceptions of being negligible variables in Iraq’s transition to democracy. The theoretical driver of the Iraq Sustainable Democracy Project’s (ISDP) research is that to the contrary, ChaldoAssyrians and Iraq’s other, real minorities (e.g. Turkmens, Shabaks, Yezidis, Mandaeans and others) are potentially the best variable for leveraging the development of a genuine and sustainable democracy in Iraq. ChaldoAssyrians are, effectively, the lowest human rights common denominator of Iraq. ChaldoAssyrians endured ethnic cleansing, cultural genocide and religious-based targeting since Iraq’s creation. If their most fundamental rights and basic needs receive redress constitutionally, those of all Iraqis will be guaranteed. Constitution drafting in post-conflict societies is never easy. It sits on a continuum between two imperatives: devising a legal code with long-term stability-oriented calculations in mind on the one hand and resolving the more immediate sources of the ongoing conflict on the other. The actions of terrorists and Saddam’s former henchmen are driving a process that biases the Coalition towards drafting a constitution rapidly with a view to undermining the pace of the insurgency. This means designing a constitution to resolve the sources of conflict and not laying the foundation for democratic sustainability. It is with this cursory background in mind that attention can turn to necessary solutions. Three pillars constitute the basis for securing the fundamental needs of ChaldoAssyrians. These are in the areas of: territorial federalism, legislative representation, and of course, religious and minority rights. These are treated sequentially below. Territorial federalism literally means the redrawing of Iraq’s internal political boundaries between states and then municipalities. Attention for now remains on the redefinition of Iraq’s state boundaries. There are two extremes in this vociferous debate. One end of the continuum has those espousing a five to six state model (along with the preposterous model of the Kurdish Regional Government of a two-state confederation of Kurdistan and Arabistan). On the other, are proposals to retain the eighteen state arrangement if only to avoid the clear ethnic and sectarian tensions aroused by the redrawing of these lines. ISDP research finds the best solution to be an eleven state model. The proposal here for eleven states acknowledges the ‘tacit’ ethnic and sectarian concerns of the Shi’a majority and the Sunni and Kurd super-minorities. It provides a modicum of justice in that it mitigates the effect of eighteen governorates used to divide peoples. It also reduces the cost ineffectiveness of sustaining eighteen governorates (with their requisite administrative and political apparatuses). Eleven states offers greater efficiency but accounts much more for mitigating the potential of ethnic ossification and subsequent secessionism (a certain outcome of the two, five and six state models). In this way it meets the three requirements of justice and feasibility that balance with satisfying historically grounded ethnic and sectarian concerns. Four new states can be created from the nine in the southern swathe of land just below Baghdad. Baghdad would remain one state. The land just north of Baghdad from east to west can become three new states. Lastly, three new states can be carved from the territories in the far north. One of these must be delineated from the north and north eastern lands of modern Nineveh Province. This would sit astride the city of Mosul and sit against the southern boundaries of two states dominated by Kurdish populations. This new state is likely to be called Ashur. This State of Ashur genuinely transcends all ethnic and sectarian divides. It surpasses Baghdad in that despite the capitol’s heterogeneity, it will always be predominantly Arab. In this state, roughly north of the 36th parallel, is a land that consists of Shi’a and Sunni Arabs, Kurds, Turkmens, Shabaks, Yezidis, and ChaldoAssyrians with no group nakedly dominating the others (as would be the case in every other state). Ashur can be the only non-ethnically, non-religiously determined state and serve as a model for the rest of the country. The proposed state of Ashur also affords entirely marginalized minorities such as Turkmens, Yezidis, Shabaks, and ChaldoAssyrians some degree of justice and comfort in having territorial representation that balances reasonably with their proportion of the population. Federalism as a principle will then be fulfilled because it will reach all peoples – even on a territorial basis. This overturns the effort of previous Iraqi regimes to decimate these peoples, while not fundamentally prejudicing the needs of the three major groups (Shi’a, Sunni, and Kurd). Legislative representation for ChaldoAssyrians does not just mean having a voice; but ensuring that the voice is legitimate and meaningful. Presently, the electoral system provides for a situation where five of the six ChaldoAssyrians in the National Assembly are elected on the list of other parties. This means they have no demonstrable constituency. Only one ChaldoAssyrian in the National Assembly can assert a legitimate electoral mandate because they can say who elected them and in what degree relative to the population. This is true despite the fact that well over one hundred thousand ChaldoAssyrians were systematically disenfranchised in Iraq and thousands more in Diaspora through the ad hoc, last minute planning in the out-of-country voting process. 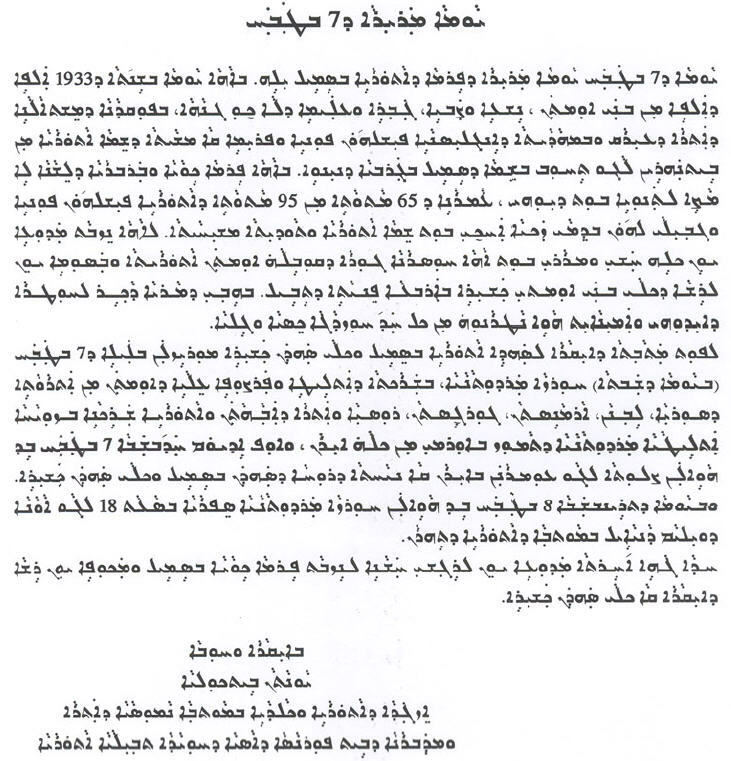 The main source of illegitimate ChaldoAssyrian representation comes from parties who made their way to the National Assembly by aligning themselves with the Kurdish parties (four of the six to be exact). Without a demonstrable constituency, it is most likely that these parties are nothing more than mouthpieces for Kurdish interests. Indeed one of them, Mr. Ablahad Afram Sawa, has already publicly declared that he would be supportive of the creation of a new country called Kurdistan. To ensure legitimate and meaningful representation, Iraq requires reserved seats for its most vulnerable minorities: ChaldoAssyrians, Turkmens, Yezidis, Shabaks and Mandaeans, among others. These reserved seats can only be filled by parties elected to the National Assembly independently. This will ensure that ChaldoAssyrian members of parliament have a credible electoral mandate and guarantee ChaldoAssyrians a role in the political discourse in the parliamentary arena. Those filling reserved seats and/or elected to the National Assembly through parties that ran independently, must be seen as legitimate spokespersons for ChaldoAssyrians nationally. Religious and minority freedoms are the most basic and fundamental of rights. As ChaldoAssyrians we have never enjoyed such rights in Iraq. The Transitional Administrative Law was extraordinarily successful in the promulgation of individual human rights and freedoms. It also went a great way to ensure group rights and freedoms. At the time of writing, it appears that neither of these rights will attain the same stature. Drafts of an Iraqi bill of rights are in circulation and have been translated. Analysis of these drafts indicate that the freedom of religion, thought, conscience, gender rights, expression, opinion, press, assembly and association are all diminished to one degree or another. The new Iraqi constitution must maintain the human rights provisions in the TAL and explicitly seek adherence to the international human rights instruments to which the Iraqi state is a signatory. These basic rights are enunciated particularly in the International Covenant on Civil and Political Rights, as well as various other conventions and treaties. Nonetheless, these rights were given effective articulation in the TAL and deviation from that standard is worrisome for sustainable democratic development in Iraq. If Iraq becomes an Islamic state with Shari’a law a primary source of legislation, the constitution must develop means to protect ethnic and religious groups. Territorial and non-territorial protections/exemptions of non-Muslims and state and local spheres of government should be provided for constitutionally through opt-out clauses. There is precedent for territorial and non-territorial exemptions of religious and ethnic minorities from the laws governing a majority of the population and these must serve as paradigms for exempting ChaldoAssyrians and others from Shari’a law. Constitutional guarantees for minorities must be that their ethnic, religious, cultural, and language rights will be respected and given robust enforcement. This means demanding that any act of government (at any level) prejudicial to the basic interests of ChaldoAssyrians, Turkmens, Mandaeans and others be counted as a human rights violation and subject to adjudication by a human rights court and then a constitutional court if necessary. Minority and indigenous peoples’ rights require allowances for education, language development and the use of language officially in areas where a group predominates. It also means ensuring that the constitutional provisions outlined under subjects such as territorial federalism and legislative representation are not undermined. Such provisions effectively guard against the marginalisation of Iraq’s most vulnerable minorities. Clarifying the importance of this in a bill of rights will reinforce the inviolability of these rights and make all Iraqis feel safer and a part of the national fabric. Clearly the issues raised above do not exhaust the litany of constitutional considerations for ChaldoAssyrians. They are the most critical, however. It is important to retain perspective of what it means to design a political system in a post-conflict society. There are innumerable challenges to overcome and a population demanding government delivery. The government must be allowed to govern, and Shi’a and others will dominate such a government naturally. It is in everyone’s interest to let government get on with the business of governing. It must, however, be accountable and respect the rights of minorities at the same time. This also offers a chance to lay the bedrock of a sustainable democratic transition in Iraq, with all the benefits to be had for its citizens, and those in neighboring countries. This article arises from the research of the ISDP produced over the last few months. This culminated in the paper, “Constituting Democracy in Iraq: ChaldoAssyrians a Determinant for Sustainable Iraqi Constitutionalism.” This can be accessed in the near future at the ISDP website listed above. (ZNDA: London) The Assyrian Democratic Movement has objected to the proposed "Granting of Iraqi Citizenship" law as it is being discussed by the Constitution Drafting Committee. Mr. Yonadam Kanna, Secretary General of the ADM and an Iraqi parliamentary member, says that ADM (Zowaa)'s objection is in regards to the settlement of the year 1963 as the earliest year for the granting of citizenship to all displaced or immigrant Iraqis. He comments that "The person who was oppressed in 1959, or before, or in 1963, or for years under Saddam Hussein's regime, whether in Mosul, Kirkuk, the southern provinces, or the Kurdish region, has been assaulted and deprived from his rights," referring to the obligatory displacement and the massacres that targeted the Christian villages in the Nineveh Plains since 1933. Mr. Kanna explains:"More than 20 thousand Assyrians have been displaced or have emigrated to Syria. They have the right to return as Iraqis, proud of belonging to their homeland." He noted: "It is wrong to specify a certain date, and include only those who have been displaced or emigrated from Iraq, and assaulted after a certain time, to obtain the right to citizenship." He considers that "Those who suggested this date aim at preventing the Jewish community that emigrated from Iraq from obtaining the Iraqi nationality." He said that Christian parties and churches in Iraq possess documents that support the rights of the displaced, especially as regards the Syrians victimized during the presence of the British army in Iraq (1933-1954). Mr. Isaac Isaac, director of the ADM Public Relations and Media, points out that"No entity can ignore the huge numbers of Assyrians displaced since 1933, to Syria and France for example. Their discriminatory exile should be acknowledged. They should receive full citizenship and their civil and monetary rights should be returned." He noted further: "The former regime returned the Iraqi citizenship to some displaced Christians." (ZNDA: Baghdad) At least two unofficial versions of Iraq's draft constitution have been leaked to the press in recent days, leaving many to speculate on what the future holds for Iraqi citizens in terms of individual and minority rights. Iraqis close to the constitutional committee claim that many issues remain unresolved and that many drafts are floating around Baghdad, adding that those drafts do not represent the final version. However, those versions circulating in the media, including a draft bill of rights, have raised questions as to the direction the future Iraqi state will take -- particularly with regard to the role of religion, the status of clerics, federalism, and women's rights. One draft, published in Baghdad daily "Al-Mada" states that Iraqi citizens, in addition to the rights laid out in the constitution, "shall enjoy the rights stipulated in international treaties, agreements, and international legal documents....so long as these do not contradict Islam." Another draft, published in the daily "Al-Sabah" calls for the government to be a parliamentary democracy with a weak executive branch; a single legislative body, elected every four years; and an independent judiciary. Regarding Islam, the draft states: "Islam is the official religion of the state. It is the basic source for legislation. It is forbidden to pass a law that contradicts its fixed rulings." This status is a marked deviation from that afforded Islam as "a source of legislation" under the Transitional Administrative Law (TAL), Iraq's interim constitution written by the Coalition Provisional Authority (CPA) in Iraq ahead of the 2004 transfer of power. The stipulation that it is "forbidden to pass a law that contradicts [Islam's] fixed rulings" raises questions as to how the future parliament might go about considering the entire body of Islamic jurisprudence when drafting laws and has already provoked controversy. Iraqi lawyer and journalist Sattar al-Dulaymi said in an interview broadcast on 25 July that the "Al-Sabah" draft "if approved, would be a day of national mourning over common freedoms." "Islamic law does not speak about rights. Islamic law is a system of orders and prohibitions. For this reason, I cannot speak about rights. All the new constitution says is that all freedoms and rights are performed in accordance with the law.... We will find ourselves asking: What is allowed? It will not be the other way around.... Islamic law in these affairs is, strictly speaking, an ideological system sufficient just for oppressing a human, wiping off and in the end erasing his or her humaneness." The "Al-Sabah" draft also indicates that many rights affecting women under the personal status law will be relegated to the jurisdiction of Islamic Shari'a courts instead of civil courts, which have presided over such issues -- including inheritance, marriage, and divorce -- since 1959. Another provision set out in both the "Al-Sabah" and "Al-Mada" drafts calls for a 25 percent quota for women in the National Assembly -- but only for eight years, or two election cycles. "We have laid down a formulation that women have equal rights and duties as men in official and political affairs," drafting-committee member Jawad al-Maliki told RFI in a 25 July interview. "Yes, there might be some affairs related rather to the personal status where a man has a different position than that of a woman. There is, however, equality in political affairs." Al-Maliki claimed that a provision calling for an election quota for women equates to "an implementation of the rights of women." Asked why the quota will only remain in effect for eight years, he said: "We do not want a permanent women's quota to remain in the constitution; we want [to see] that women develop their competencies, that their level is raised, and that they compete with men on the basis of equality." Those drafting the constitution believe that eight years is "sufficient for women to get ready for an equal competition with men," he said. "But if they build on [the supposition that] they will not be ready for the competition, then it is some deficiency for which only the women are responsible. The quota must not be taken for granted. It is no gift or pittance that men give to women." Parliamentarian Asma al-Musawi rejected al-Maliki's statements the same day in an interview with RFI in which she called for the proportional participation of women to be "anchored by law." She said she would support a limited time frame for such a quota. "But, should it be set after two, three, four, or five [four-year] election terms?" she asked. "This has been stirring discussions among various women's movements. We have to admit anyway that a deadline must be set so that Iraqi society realizes [after the quota is reached] that Iraqi women have their place not only in the kitchen but also in medicine, industry, agriculture, civil engineering, and other areas of science [and technology], and that they are at the same time able to advance to politics." Asked if she thinks that an eight-year quota would be a sufficient, she said: "I maintain that eight years is not sufficient for changing this wrong social concept. I am ready to support those women who demand a prolongation of this period." The "Al-Sabah" draft also includes a clause granting clerics a special status in society that would allow them to offer guidance "as religious and patriotic symbols." Again, the ambiguity of the document has led many to question the meaning of the clause, and how it would be applied in reality -- particularly in light of the power and influence that Iranian clerics wield over their government. Moreover, the designation of Iraq's name as "The Islamic Federal Iraqi Republic," in the "Al-Sabah" draft has raised concerns among non-Muslim Iraqis and even Muslim Kurds, who are generally secular in their outlook. Iraqi President Jalal Talabani told Al-Arabiyah television in a 25 July interview that Kurds do not agree with the proposed state name. "We believe that the name should be as it was -- The Republic of Iraq or the Federal Republic of Iraq. If we say "Islamic republic" this will be a violation of the agreement signed" between the Kurds and the Shi'ite-led United Iraqi Alliance following January's national elections. Talabani predicted, however, that the name will not become a sticking point, "because we all agree with the other party [Shi'ite Arabs] that the constitution should be based on the Transitional Administrative Law. In this law we all agreed that we do not want an Islamic regime in Iraq, but a parliamentary, pluralistic, federal, and democratic regime. Proposing an Islamic name for the republic would be a violation of the agreement reached." Perhaps the most contentious issue will revolve around federalism and the distribution of power from the center to the regions. The draft published in "Al-Sabah" states that any two governorates could form a region. It also places no limit on the number of governorates that could belong to a given region. By contrast, the TAL states: "Any group of no more than three governorates outside the Kurdistan region, with the exception of Baghdad and Kirkuk, shall have the right to form regions from amongst themselves." According to latimes.com, some Shi'ites hope to use the provision to unite the nine Shi'ite-populated governorates south of Baghdad into a Shi'ite mega-state within Iraq. Such a move could lead to a further fragmentation of the country along sectarian lines. It could also have enormous consequences on the distribution of resources in Iraq, as each region would be financed through a "fixed share of natural resources." Another provision in the "Al-Sabah" draft grants regions the power to make agreements with neighboring states, as long as those agreements do not contravene Iraqi law. The provision appeals to Shi'ites, many of whom seek to strengthen ties to Iran, but would not be supported by Sunni Arabs for that very reason. Kurds would also support the provision since they have been calling in the Kurdistan Regional Government's constitution for the power to make agreements with foreign states. (ZNDA: Mosul) Terrorist attacks one year ago that struck four churches in Baghdad and one in the northern city of Mosul were remembered by local church leaders, who are trying hard to forgive, love, and put the past behind them. AsiaNews reports that Monsignor Paulos Faraj Rahho, the Chaldean Archbishop of Mosul, celebrated Mass in the Church of St. Paul on August 1, the same day that a car full of explosives exploded near the entrance of the Church, killing two people. “The Church is much better today than before the attack. That violence tested our faith and in a year we have learnt to put into practice values like forgiveness and love, even for those who persecute us”, he said, according to AsiaNews. An archbishop said that following the attacks, the Christian community first thought about forgiveness and brotherhood with Muslims. Atop the church, two banners were placed saying: “Lord, forgive them for they know not what they do. We shall continue to pray for love and peace. In Iraq, Christians and their Muslim brothers: one people that sings love and peace." In the homily during the 1-year Mass, the Archbishop addressed the attackers, reminding them that though they had tried to destroy the churches for now reason, that "our Lord taught us to love and forgive you as well as pray for you. We have no resentment for you; we have no enemies." Every year henceforth, the Archbishop says that August 1 at the Parish of St. Paul's Day, a memorial mass will be held to remember the attacks. (ZNDA: Washington) The Iraqi Electoral Commission will not allow Iraqi expatriates to vote on a new constitution, effectively locking out a quarter-million votes from mostly religious minorities living in the United States, Britain and other countries. The decision, revealed by Electoral Commission member Fareed Ayar in a telephone interview Tuesday (Aug. 2) from Baghdad, is certain to alienate the Christian minorities who comprise most Iraqi exiles. "You're changing the entire demographics of the country. If we don't vote, then we'll all be forced to leave there," said Nahrain Kamber, a ChaldoAssyrian Christian who lives in Palo Alto, California, who cast her ballot from the United States in January. "Given the history of what's been going on with the Christian minorities ... it looks like Iraq will be an Islamic state, as scary as that is." New parliamentary elections will be held by the end of the year, following ratification of the new constitution. The commission does not yet know if those elections will be open to out-of-country voters. "It depends on the law of the elections which is now transitional, and then we will decide," Ayar said. Ayar said that the organization running the elections had initially estimated an expatriate turnout of 1.25 million, but "we discovered only 250,000, which is a very low percent." Officials of the International Organization of Migration, which ran the election, said they had only two months to launch a global get-out-the-vote effort. Expatriate leaders have alleged widespread voter fraud in their towns during the historic Jan. 30 elections. Ayar denied those allegations. "We didn't get anything official that there was any fraud in any place in the last election, and we will do our best to make our next election very pure," he said. "We will open all our centers in all our cities of Iraq, including in the ChaldoAssyrian (Christian) cities." Yet Yonadam Kanna, the only ChaldoAssyrian Christian representative in Iraq's National Assembly, said the commission did respond to allegations of voter fraud in a formal letter to his party that "acknowledged irregularities," including several thousand missing ballots. Voter registration in Iraq begins Wednesday at 550 sites selected by the Electoral Commission, Ayar said. Voting is expected to take place Oct. 15 as specified in the temporary constitution, a month following the release of the final draft. Of about 3.5 million Iraqi Christians, more than half are expatriates, with concentrations in the United States and Syria. Under the current draft of the constitution, ChaldoAssyrian Christians in Iraq would be subject to Shariah law, a strict form of Islam. "Adopting Shariah law as the only or the main source of the constitution, this is something that almost all of our community feels threatened by and oppose because we know that unless there is complete separation between religious law and state affairs, democracy will not be able to exist," said Iraqi-American Bishop Bawai Soro of San Jose, Calif. Soro's Church of the East has roots in Iraq dating back 2,000 years. The news from Iraq's Christian leadership, he said, describes "what they're going through -- and they are really in a very delicate situation." The Assyrian Democratic Movement and the Iraqi Turkmen Human Rights Research Foundation estimated that six assembly seats were potentially lost because 200,000 registered Christian and minority Turkmen voters were not given ballots. Both organizations have threatened public protests if they feel the commission has not put proper safeguards in place to prevent election fraud. (ZNDA: Glendale) A tour-de-force, Rosie Malek-Yonan’s The Crimson Field is a brilliant and gritty historical and literary novel with enormous implications. Uncompromising and unflinching, it is based on real events and true family chronicles set to the backdrop of the Assyrian Massacres of 1914-1918 in Urmi, Iran. 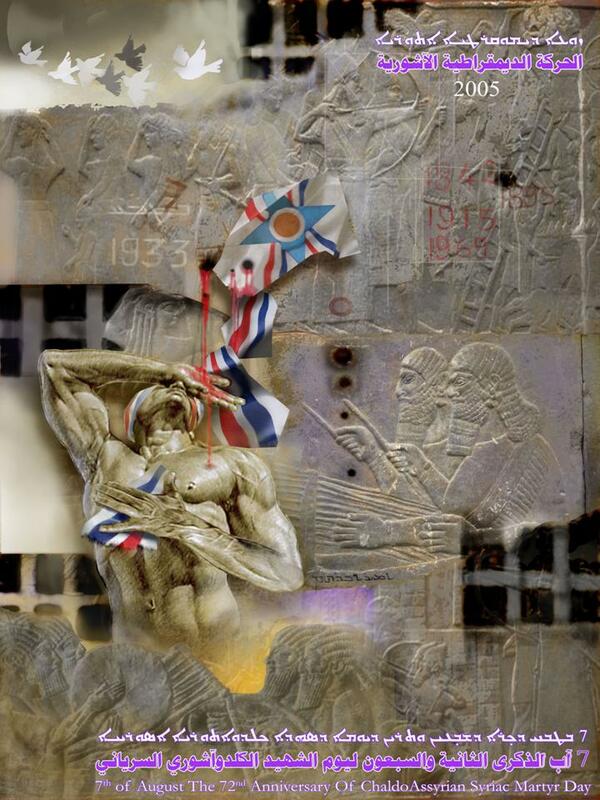 This is a unique triumph in that the Assyrian tragedy unfolds in an epic novel, the first of its kind, supported by actual painstakingly researched historical facts of a nation’s raw and agonizing past; a nation that has never been fully healed of its bleeding wounds and still grieves for its fallen martyrs. Malek-Yonan’s intense interest in her family’s history that cannot be separated from her Assyrian heritage and historical events that have swept that nation in a deluge of bloodbath began more than two decades ago. As she embarked on her journey of discovery, searching family documents and probing for her roots, she found a commonality with her Assyrian people who experienced the same trenchant attacks as her family at the hands of the Turks and Kurds nearly a century ago. The Crimson Field is a harsh, yet poetic, narrative of her maternal grandmother, Maghdleta’s lifelong struggle to come to terms with a momentary decision made in haste during the brutality of the Assyrian Massacres and Genocide. The Crimson Field is a harsh, yet poetic, narrative of her maternal grandmother, Maghdleta’s lifelong struggle to come to terms with a momentary decision made in haste during the brutality of the Assyrian Massacres and Genocide. The Crimson Field is a reconstruction of history, brick by brick, reassembling the unimaginable losses suffered by an Assyrian woman and those of her nation. 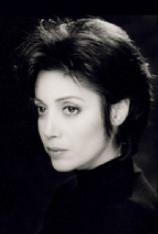 Assyrian author Rosie Malek-Yonan, a natural-born artist, is a classically trained composer, pianist, actor, director, writer and a figure skater on the 1980 Winter Olympic Team. Upon receiving her L.C. degree in English from University of Cambridge, she studied piano at the San Francisco Conservatory of Music and acting at the American Conservatory Theatre. A graduate of San Francisco State University with two degrees in Music, she won an invitation to study drama at the prestigious American Academy of Dramatic Arts. Her plays have been produced and performed on stage in Los Angeles. A consummate performer, she has appeared in numerous notable television shows, films and plays, acting in a wide range of roles opposite many of Hollywood’s leading actors and has received rave reviews as an actor and director. (ZNDA: Phoenix) Faith Bible Church of the Valley in Glendale, Arizona has sold its church facility at 17334 N. 63rd Ave. in Glendale to Holy Apostolic Assyrian Church of the East for $1.5 million. Lee Noble of CBRE's Phoenix office represented the seller, and Noel Kado of Dan Schwartz Reality in Phoenix represented the buyer. Faith Bible will lease back the 15,600-square-foot church facilities from Holy Apostolic for one year while its new facility two blocks north of Bell Road on 59th Avenue is being built. Then, Holy Apostolic will occupy the church. It is interesting to read the Jewish Bible, Tanakh, and to learn how the writers perceived their role in the history of the Middle East. In the typical ethnocentric fashion of those days, Middle East was the playground of Jewish tribal god, Jehovah, responsible for either punishing or rewarding the Jewish people. For the composers of the biblical scriptures the importance of Jewish independence and freedom was a god-established fact. The land was for the writers a holy land, promised since ancient mythological time, when 'abba Avram' moved from Mesopotamia or even further, in creation time, when Jehovah brought forth water to cultivate the land of Eden. This mythology of pristine belonging to a land and a nation was common among many ancient people – even Assyrians - the only difference was that Jews never lost it. When Middle East became conquered by other nations, Persians, Romans, Greeks and Arabs, Jews never left their bonding to the pristine founding of their tribal and national identity. How could it be so? I believe this is related to the consolidation of the Biblical codex. When reading the Torah (Five book of Moses) in Hebrew one is amazed by how different texts have been fused meticulously to found this epic history of Jewish nation. Scholars have identified three writers in the Torah: the Elohic, Jehovite and the Priestly writer, who belonged to different traditions in understanding the Jewish past, present and future. When the Elohic writer had transformed the Enuma Elish (the Akkadian/Babylonian creation myth) to a monotheistic one in Genesis chapter 1, the Jehovite writer was eager to amend the text as much as possible according to the Mosaic law. In the Jehovite version Noah chooses seven pairs of animals, and specifies whether they were clean or unclean, when the Elohic writer didn’t even bother, only two, regardless of the kosher laws (Jewish dietary laws). In the Torah, composed during 9th century BCE , one finds the clue to what became a nation of Jehovah-worshippers –- when three different traditions could be molded and fused into one, the basis of a national codex had been built. The bond to the land had been established, the children would grow up according to a set of laws – given by Jehovah and of course, they would prosper as long as they did keep them. At this period the Jews had also developed a high exclusive monotheism – ie. Jehovah was no longer a tribal god among many, but the only true one. This would imply two things: Jehovah was the only creator of the whole world and Jehovah had chosen one single mode of life and rules, those that Jehovah had given to the Jews – ha olam kodesh (the holy people). With the short description above, one can only see how one could have felt the pride of a Jew, living along the borders of the Mediterranean. As we can see, things have not changed since 9th century BCE. Even though Jews were prosecuted by the Christians and Muslims, they never left that special feeling of belonging to the land of Avram or to the tradition put in the Torah about how they were freed by Jehovah when prisoners in Egypt. What Jesus became for the early Christians, the myth about being freed by Jehovah and crossing the Red Sea, was seen as a redeeming act to be repeated when Jews were suffering. Even during the darkest persecution of the devilish concentration camps of Hitler, one cup – though not in silver – was kept on the Pesach table for Elijah and as always, the meal and the ceremony would be ended by “Next Year in Yerushalayim”. In these darkest moments, a child would ask what does the egg mean, what does the unleavened bread mean and an older person would answer according to Exodus description of what the aveteyno (forefathers) were doing and eating. Even if the description above is long, I have a reason for telling it. For the Jewish writers of the Tanakh (the Jewish Bible), the Assyrian nation had a significant role, in some way its roots are mentioned in the primordial time when Elohim walked around Eden, along the rivers of Euphrates and Tigris. For them, Ashur, was a child of Noah, Avram came from Ur; however we the Assyrians came to be so different that we don’t even know what we are called today. Something is missing in our ethnic/national identity. What epic story do we have to inspire us in the darkest moments of our nation? What symbols does my future child need to know when we are commemorating the Day of Martyrs? 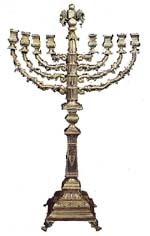 I miss these symbols, which the Jewish forefathers put into words and left for their children. What these forefathers did, was creating something undestroyable and eternal. The 6 million or more Jews that live in America, live in a parallel world, where their prayers and hopes go to Israel – ha aretz kodesh – the holy land. What is my holy land? What is my parallel world, when I speak Swedish 8 hours a day, when I pray together with my priest Eva, about blessing for the kingdom of Sweden, its government and its people and those persecuted. When the neo-Hebrew language – ivrit - was born – something that we Assyrians didn’t need to do, because we possessed our language naturally, evolved through 2000 years - nothing was needed to be created with it. It was a reformation of the biblical Hebrew and when it came to having holidays in the new Israel of 1940s, you had it written in the Torah, 3000 years ago. What would my national holidays in my country, “the Republic of Assyria” or “the monarchy of Assyria” be? Every national symbol of Israel was so easy to do. They didn’t need archaeologists for the Jewish flag, or the Jewish Menora, what they needed was to copy the Arch curtain in the synagogues, which had the star of David and the menora on the cover –covering the Torah rolls. What is the most amazing about the Jewish nation-state, is the Jewish identity wasn’t dependent on its being, because everything was and is all the time since the Jews understood themselves as a nation before they has a state. They had the star of David without Israel, they had the Hebrew, without Israel – a question: what do we Assyrians have without a land? A name? 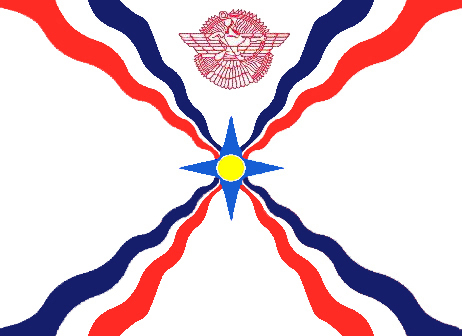 A flag – only recognised by those who profess themselves being Assyrians? At the same time, I am not saying that the wave of nationalism that overcame us during the two World Wars, resulting in the creation of our flag, our Days of Martyrs or the Assyrian Universal Alliance during the 1950s-60s is of no value, but it missed something genuine. I am aware that I am idealizing the Jewish people, because they have never been a single monolithic entity – the Christians had to argue with both Pharisees and Sadducees, and the ultra-orthodox wing does not recognize the other Jewish denominations and after the horrible Holocaust, many denied their Jewish heritage – but these are the aspects of being a people. In Jerusalem, you’ll pass through the ultra-orthodox Mea Sherim where in Sabbath you won’t see one person driving the car, at the same time, you’ll see people eating the not so-kosher McDonald’s. Differences – existing together and every one knows about them. What are our differences that we Assyrians cannot overcome because of our political standpoints, religious or even sad to admit it - tribal ones? Is it my having an Urmia dialect and being Lutheran, is it you who believe that only God can save us or is it how much I say I am Assyrian during any single day? I am not a political person, I am more of a reflecting one and I just can say that whatever destiny we have chosen for ourselves, it is us and only us that have chosen it. The only thing United Nations did, was giving the physical land to the Jews – the Jews had the land in their heart, they had their traditions in the hearts, in wearing the kippah (hat for males), having the bat mitzvah (confirmation for girls) and kissing the mezzuza (a metallic tube containing the Jewish confession “Hear O Israel”) when entering their homes. I want a mezzuza, that I can kiss, when I leave home – where it says “One name; one nation; one language”. Is that not possible? 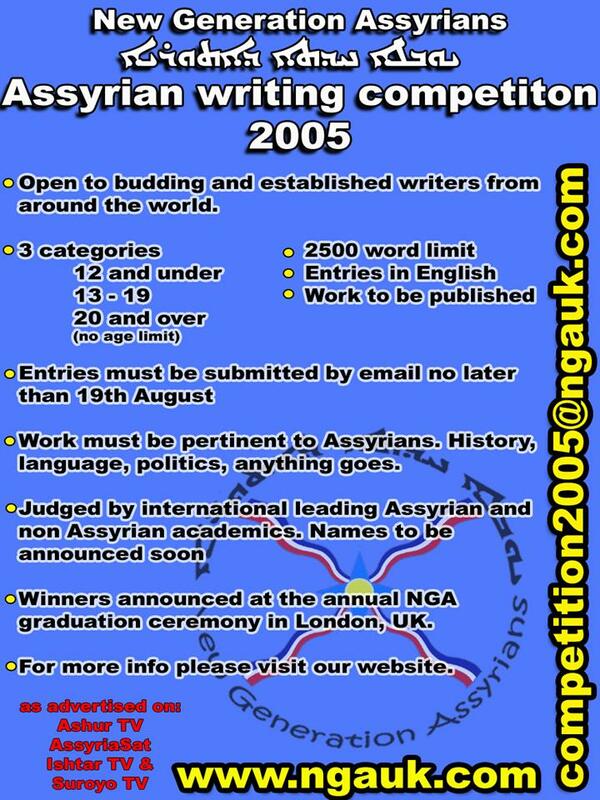 I want a ceremony and a special dinner through which my children can learn about their glorious history of Assyria – even when they won’t be able to read or speak Assyrian? Mr. Nardin Crisbi is a political scientist living in Stockholm, Sweden. My name is Joseph Menashy. My family and I call ourselves Assyrians. We (myself, my parents, brother, sister) proudly attended St. Joseph Chaldean church in Tehran. My parents, brother, sister and their families in San Jose, CA, still attend a Chaldean Assyrians Catholic Church. My best friend in Tehran was a Chaldean. We have always considered Chaldeans as our brothers and sisters. It is time we set aside these trivial arguments, and focus on the actions that would bring us true recognition. True strength is in true unity. A divided front would represent our people as a weak entity, unworthy of any political recognition. Marching in all cities is fine but a concerted and planned march on Washington would be more effective. Set a date and time and place to meet and have the marchers with a precise message go to the Iraq Embassy in Washington then on to the 'lame US government's State Department'. Thank you for your noble effort. 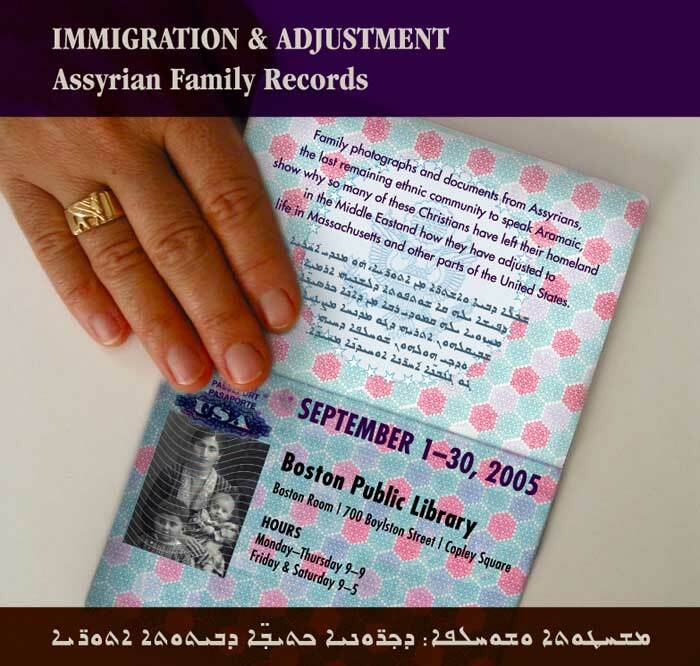 The Assyrian American National Federation will hold its 72nd Annual National Convention in Boston, Massachusetts this September. An estimated 5,000 convention participants will take part in educational, cultural and social activities that will be held from Thursday, September 1st to Monday, September 5th. The most disgraceful and shameful situation ever felt is the logic and mentality of the separatists being Assyrian or Chaldean or Suryan cheering each other and more over, they are actually celebrating and rejoicing their so-called ‘victory’ for saving their sacred names and being mentioned as separate ethnicities in the Iraqi Constitution. We have had these unpleasant situations before but unfortunately we never took lessons. For instance, let us look at the first split in the Church of The East that happened 300 years back and led to the creation of new branch ‘Chaldean Catholic Church’ and consider its consequences which were never healed. Take the next split in the Nestorian Church of the East that took place 40 years back and led to the creation of two new branches ‘The Ancient Church of The East’ and ‘The Assyrian Church of The East’ and consider its consequences which were never healed. Actually, there are rumors from credible sources that this church is facing now serious internal problems on the leadership level that could potentially lead to further split within its larger branch, i.e. The Assyrian Church of the East. Or just look at the continuous and ongoing splits in all our political parties (without exceptions) and consider their consequences which were never healed. Yet, all these were relatively marginal issues and recoverable problems because we were all claiming that we are still one nation with different faiths and different political agendas or goals. But this latest evil and wicked trend of division that led to the fall of the final brick or stone or column of the great cities Nineveh and Babylon and dismantled the last bond in our sacred shrine, our Nation, is the most reckless, destructive and heinous act committed ever towards our blessed nation. I have been taught and always learned that Unity is the only equivalent synonym to victory, prosperity, advancement and achievement for any people or nation to thrive and flourish. But unfortunately, things have changed to worse and logic has been twisted and values have been crushed under the ego and the selfish and the narrow minds of the so-called leaders of this blessed nation with some marginal supporters. I am not quite sure how much can these evil powers swim against the stream yet I am quite sure that they are quite capable of making considerable damage to the fate of this nation so far. Well, let it be known and clear that Iraqis won’t mind us being split not into three but even a hundred ethnicities. The reasons are obvious to a smart and wise person with sight because common sense will tell us that same story of the bunch of sticks to break. Let who listens learn and who learns preach and who preaches never give up because at the end nothing will prevail but the truth and the just. Shame on all those who made this tragedy happen. The following is a aMessage from Mr. Yonatan Bet-Kolia, member of the Iranian Parliament (Majlis), representing the Assyrians and Chaldeans of Iran, and secretary of the Assyrian Universal Alliance in Asia, on the occasion of the Assyrian Martyrs' Day. To remember, spearheaded by reminding and acting upon, is honoring the victims of Assyria throughout all the massacres, and to bestow upon them the title of martyrs. To remember for the sake of remembrances and solace, is purely chauvinistic, a passive and an emotional reaction. Remind, lobby, act, and follow through with their ideals and sacrifices, so that they remain the Martyrs of the Nation, Assyria, in perpetuity. Denote that the Semele Massacre is historically recorded as Iraq Government sanctioned military operation against its indigenous civilian population. Father Aziz Yalap, a priest of the Chaldean Catholic community of France has just published in Paris, his first book in Turkish language, entitled "Göçten Önce" (Before the Exile). This book of 166 pages (sold for 10 Euros) is the first volume of a long account. 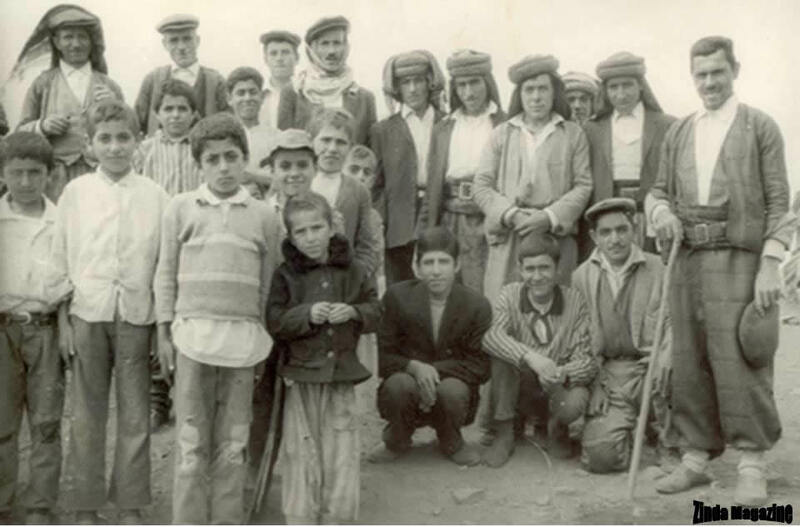 The book comprises a collection of pictures of the Assyro-Chaldean villages in south-east Turkey in the years 1970. It will be very soon available in the French version. This book is neither a novel, nor a tale. It is a true history, an inexhaustible source of memories, life as sometimes merry, often difficult, of a priest but also of the remote villages of Ischy, Baznayé, Qarayé of a forgotten nation. This collection of memories is not only the history of some villages but of a whole people forgotten in the meanders of the history. Father Aziz Yalap wrote his memories a few times after his arrival in France in 1993. Which was his goal? To write all that he had garnered in his memory or to transmit to rising generations the last vestiges of a brilliant civilization? He thought doubtless to the two possibilities! When his father, Khoudeda Thomas, left them on November 25th, 2003 at the age of 93, the idea was born to publish the five or six books full with memories, anecdotes, rich in information of any nature on life and the history of the Assyro-Chaldean people in the villages of Turkish south-east. The photographs are very old images. They constitute the fragile traces of men and women who did everything for their people. At times you may recognize your father or your mother. Sometimes even, you will be there hidden with a close relation or accompanied by an old friend who will point out to you the good old times. This book contains a priceless treasure: our memory, our history. Our hope is that this treasure will be kept by courageous watchers, attached to its contents. There is the key of the Assyro-Chaldean’s in France. No need to continue. What would you then say to make a long voyage on the ground of your ancestors? In this case, let us follow Father Aziz Yalap who tells us about our villages. 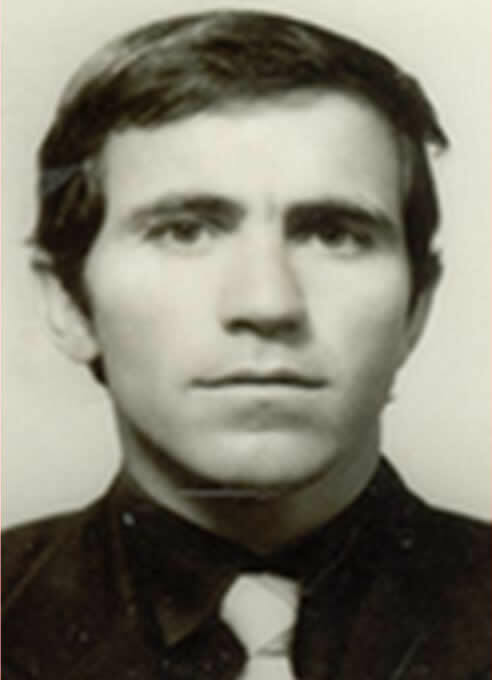 Father Aziz Yalap was born in 1947 in the village of Ischy. In 1957, he followed, as sub-deacon, Father Yawsep Harbolaya in the Assyro-Chaldean villages. 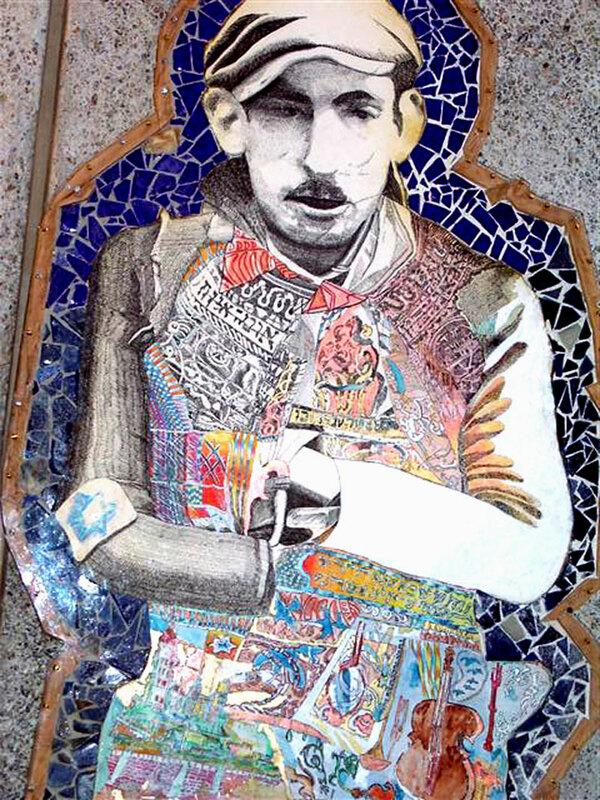 Between 1962 and 1970, he lived in Istanbul to complete his studies at Notre-Dame de Sion, Saint-Michel and Saint-Joseph. On, November 11th, 1975, he was ordained a catholic priest of the Chaldean rite by Mar Gabriel Batta in the Istanbul’s French Church, Saint-Louis des Français. Envoy in his native village, Ischy, in June 1976, he devoted himself to the service of his community in Ischy, Bazyan and Qarayé until 1984, date on which he was forced to leave this tumultuous area to continue his priesthood in Istanbul where he resided for nine years. Arrived in France in April 1993, he is always at the service of his Assyro-Chaldean community and currently resides in Sarcelles, Paris. He is married and father of six children. To purchase your copy of "Göçten Önce ", Cilt 1, Anilar, Prefaced by Antoni Yalap, Paris, May 2005, 166 pages, hard-bound cover color, central book of 20 photographs + lexicon and biography, contact Antoni Yalap to antoni.yalap@laposte.Net. In 1994, the Lazars made it to Greece and from there pushed on to the United States, where Mr. Lazar found work as an assembly inspector at an electric company. Mr. Lazar’s parents joined him two years later. In 2000, his brother Jacob came on a student visa. In the past few years, each of Abraham’s five siblings has left Iraq for the West. Abraham Lazar’s decision to settle in Chicago was no accident. For more than a century Assyrians have been coming to Chicago: First, in the 1880’s and 1890’s, as seminarians and medical students and later, most notably following World War I, as refugees fleeing persecution. Just as Lebanese immigrants joined their predecessors in Detroit and its surroundings, Assyrians flocked to Chicago. Today, about 80,000 Assyrians are estimated to live in the Chicago area. Like most Assyrians living in Chicago, the Lazars belong to the Assyrian Church of the East, an ancient faith community that traces its origins to Mesopotamia and St. Thomas the Apostle. Over time, the church expanded throughout to such faraway places as India and China, but its center, or catholicosate, remained in the heart of Mesopotamia, settling permanently in Baghdad after it became the capital in 780. During the invasions of the Mongols in the 14th century, this church was nearly destroyed. The formation of the Chaldean Church (a community of Assyrians who, while retaining the rites and traditions of the Church of the East, are in full communion with the Church of Rome) in the 16th century further weakened the Church of the East. The 20th century was no kinder to the Assyrian Church of the East. During World War I, the Turks wiped out about one-third of the population, with most survivors fleeing to what is now modern Iraq. After the end of the British Mandate in 1933, Iraqi troops attacked the Assyrians and expelled its leader, Catholicos-Patriarch Mar Shimon XXIII, who settled in San Francisco. The catholicos’s adoption of the Gregorian (or Western) calendar and his commitment to the practice of hereditary succession triggered a dispute within the church that threatened to lead to a schism. Mar Shimon, who was forced to resign but later resurfaced as catholicos-patriarch, was assassinated in 1975, prompting his successor, Mar Dinkha IV, to move to Chicago, which has become the home of the Assyrian patriarchal see. Much has been done to relieve the tensions within the church, which since the 1990’s has been engaged in dialogue with the Roman and Chaldean churches. Today, the Church of the East has about 300,000 members worldwide, with more than one-third in the United States. About 80,000 of U.S. church members live in the Eastern half of the country, most of them in the Chicago area. About 5,000 church members live in California. 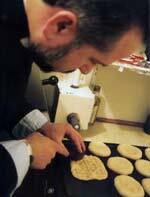 Every Sunday at Chicago’s St. George Assyrian Cathedral, priests and deacons chant the office that precedes the eucharistic liturgy, or Qurbana, while in a room behind the altar, Father Antwan Latchen bakes the bread used in the liturgy. Father Latchen, Mar Dinkha’s secretary, usually celebrates the Qurbana at another Assyrian parish later in the day. “Special prayers are recited during the making of the bread,” Father Heseqial said. Father Heseqial came to Chicago from Iraq with his wife, three daughters and son in 1990. He has no immediate family in Iraq, though he has friends and cousins with whom he has occasional contact. To a remarkable degree, Assyrian Americans have held on to their culture and ancient Semitic language, Aramaic, a tongue related to Amharic, Arabic and Hebrew. Mr. Mirza speaks a modern version, Assyrian, also called Neo-Syriac, and his children learn it in classes held at St. George. The primary eucharistic prayer of the Church of the East, the Anaphora of Addai and Mari, is the oldest anaphora of the church. It is also one of the earliest of all eucharistic prayers used in any church, Catholic or Orthodox. The prayer makes no explicit mention of the words of institution, which in the past were considered necessary by the Catholic Church for the transformation of the bread and wine into the body and blood of Christ. Three Vatican departments have recently confirmed the Anaphora of Addai and Mari as an authentic expression of the universal church’s eucharistic faith. Many younger Assyrians join Catholic or Protestant churches, Mar Bawai said. Stronger ties with the Chaldean Church would strengthen the Church of the East, Mar Barwai added. Already, there is some cooperation, as is evinced by the two Chaldean parishes in Chicago. The hope was that after the war, Assyrian Americans would go back to Iraq or invest there, but that has been put on hold. Though only 40,000 Assyrians live in Iraq, the vast majority of vocations to the priesthood and the diaconate come from the Middle East. “So the mentality of the Church of the East remains overwhelmingly Eastern,” Mar Bawai said. Assyrian seminarians receive their theological education at the Chaldean College in Baghdad. Assyrian bishops and priests who pursue graduate studies also benefit from CNEWA scholarships in Catholic universities throughout the world. There was talk of moving the catholicosate back to Iraq after the fall of Saddam Hussein’s regime, Mar Bawai said. “In terms of the credibility of our church, I think it is essential to return to Iraq. But for now, while there is so much instability, that is not a possibility.” Just as the church hierarchy, based in Illinois, looks to the Assyrian homeland of Iraq, so too does the greater Assyrian community of Chicago. Though he no longer has family in Iraq, Mr. Mirza closely follows events back home. “Generally, Assyrians were very happy to see the old regime of Saddam toppled,” he said. “There was a feeling of excitement, which has given way to uncertainty with all the terrorist attacks, including attacks on Assyrian churches in Baghdad. “The hope was that after the war, Assyrian Americans would either go back to Iraq or invest there, but that has been put on hold for now,” Mr. Mirza said. Until some sort of stability returns to Iraq – allowing for return visits, investments and, in some cases, emigration – the Assyrians of Chicago will continue to hold on to their Mesopotamia-born traditions by looking inward. For Mr. Mirza, his work at St. George Assyrian Cathedral allows him to stay rooted in both the religious and cultural life of his ancestors. On Sundays, his day at the cathedral usually begins at 7:30 a.m. and ends at 3 p.m.
“Believe me, it’s a lot of work,” he said, adding that he did not mind it one bit. Matthew Matuszak is director of the Religious Information Service of Ukraine. For one day, a modest man in the teaming city of Trivandrum, capital of the southern Indian state of Kerala, was the center of much attention. On 14 May 2005, dignitaries from around the world, led by the Prefect of the Congregation for the Eastern Churches, Patriarch Ignace Moussa Cardinal Daoud, converged on St. Mary Cathedral. There they celebrated the elevation of the Syro-Malankara Catholic Church to the dignity of a major archiepiscopal church, a status that accords it more autonomy within the Catholic communion of churches. But they focused their energies on its self-effacing leader, Major Archbishop Cyril Mar Baselios. The archbishop, who celebrated the 25th anniversary of his episcopacy last year by building houses for the poor, is just the third leader of the Syro-Malankara Catholic Church. A noted scholar, ecumenist and pastor, Mar (a Syriac honorific for “Lord”) Baselios follows in the footsteps of two giants of the 20th-century universal church: Benedict Mar Gregorios, a gregarious man who guided the Syro-Malankara community from 1953 until his death in 1995; and Mar Ivanios, a visionary whose quest to reunify Kerala’s Christians led, in 1930, to the establishment of the Syro-Malankara Catholic Church. Though the youngest of the 21 Eastern Catholic churches, the roots of this community stretch through nearly two millennia of Indian history and culture. 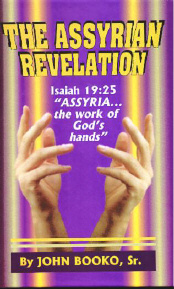 Apostolic origins. Until Portuguese explorers, merchants and fortune hunters arrived in southern India in the late 15th century, Kerala’s Christians flourished as a unified church. These “Thomas” Christians traced their faith to the evangelizing efforts of St. Thomas the Apostle, who is thought to have arrived on the shores of Kerala in the year 52, subsequently establishing seven faith communities. Isolated from the development of the church west of Jerusalem – as well as the schismsand controversies that destroyed its unity – the heirs of St. Thomas were in communion with the Assyrian Church of the East, sharing its distinct Eastern Syrian liturgy and traditions. First developed by Mesopotamia’s Jewish-Christian community, who had also received the Gospel from Thomas, these customs were enhanced by Syriac-language scholars working independently of the churches of Rome and Byzantium. Ties between Assyrian and Thomas Christians were strengthened by trade, the periodic immigration of Assyrian Christians to southern India and regular visits of Assyrian bishops to the subcontinent to ordain priests and deacons. In the eighth century the Assyrian catholicos-patriarch appointed a hierarch with the title of “Metropolitan and Gate of All India” to shepherd the Thomas Christians, though authority resided with an “Archdeacon of All India,” an Indian priest appointed by the metropolitan. Though not without its own internal conflicts, the Thomas Christian community was thoroughly integrated into the fabric of southern Indian society but remained Eastern Syrian in its religious heritage. Encountering Europe and polarization. Southern India’s Thomas Christians welcomed the Portuguese explorers as companions in the faith, reaffirming their fidelity to the successors of St. Peter, the bishops of Rome, while retaining full communion with the Assyrian Church of the East. Such dual loyalties, however, were not possible in an ascendant Europe eager to dominate the world’s stage. Europe’s age of exploration coincided with the Protestant Reformation, the Catholic response and its subsequent Inquisition, the rise of the European nation-state and the European quest for empire. Thomas’s heirs were unaware of these movements. They did not understand that, in a rapidly shrinking new world, fidelity to Peter and his heirs – despite the exhortations of the popes to the contrary – meant absolute conformity. As the Portuguese subdued the indigenous secular authority, so too did they subdue the authority of the local church. They “regularized” the ecclesial life of the Thomas Christians, creating Roman (or Latin) dioceses, replacing the Assyrian eucharistic liturgy (or Qurbana) with the Roman rite when opportune, or purged elements from the Qurbana assessed as heretical. In 1599, Portuguese Archbishop Alexis de Menezes of Goa called a synod that, while not outright suppressing the Qurbana, imposed European bishops of the Roman rite as well as Roman doctrine, law, rubrics and disciplines, such as clerical celibacy. The decrees of this Synod of Diamper polarized the Thomas Christian community and culminated with the historic Coonan Cross Oath in January 1653, when most Thomas Christians severed their ties to the Church of Rome and re-established the pre-Portuguese order. Syrian ties renewed and further division. Through the pastoral diplomacy of the Carmelite friars, the papacy re-established full communion with the vast majority of Thomas Christians (the nucleus of the modern Syro-Malabar Catholic Church). A significant number, however, remained firm in their resolve for independence. Attempts to contact the Assyrian Church of the East (which had its own internal crises) failed. By 1665 those Thomas Christians separated from the Church of Rome had pledged fidelity to the Syrian Orthodox Patriarch of Antioch, in theory accepting the Christology and liturgical traditions (defined as Western Syrian) of the Syrian Orthodox Church. It took more than 200 years, however, for this “Malankara” church to become truly Western Syrian, as its Assyrian roots were firmly entrenched in the ethos of the community. This Malankara Syrian Orthodox community, which formed an autonomous part of the Syrian Orthodox Church, suffered internal strife and, eventually, additional schisms. There were at least four unsuccessful attempts to re-establish full communion with the Church of Rome, while overtures to the Church of England resulted in the creation of a separate reformed church in the Western Syriantradition, the Mar Thoma Church. Additional internal battles over authority and autonomy led to the creation of a rival “Catholicosate of the East” in 1912, further fracturing the Thomas Christians. Into this chaotic climate a giant of the 20th-century church – Gheevarghese (George) Panicker, better known as Mar Ivanios – was born. Modern ecumenical advances. A scion of a prominent Malankara Syrian Orthodox family, the future archbishop, born in 1882, was singled out early as his community’s hope. He entered the seminary in Kottayam, received a graduate degree in economics in 1906 and later occupied the chair of Syriac, church history and political economy at Serampore University College, a Protestant institution in Calcutta. Like his contemporaries, Rabindranath Tagore (1861-1941) and Mahatma Gandhi (1869-1948) – whose writings inspired the young priest – Father Gheevarghese was preoccupied with the renewal of his community. He envisioned a monastic community for men and women that would integrate the monasticism of his own Syriac tradition with the essence of Hindu spirituality, or sunyasi, the process of leading an interior life. Deeply spiritual, he reasoned that a community dedicated to contemplation, social action and evangelization would spark renewal. Eventually, Father Gheevarghese resigned his teaching post and returned to Kerala, founding the Bethany ashram (Sanskrit for a religious sanctuary) modeled on the Gospel account of Bethany. In an interview with this magazine in February 1998, one of the last surviving original members of the ashram, 94-year-old Father Raphael, described a “revolutionary” spirit at the monastery, which combined the asceticism of the Hindu monk with the social teachings of the church and a commitment to imitate Christ. “Having taken the three vows of chastity, poverty and obedience,” he recalled, “we Christian sunyami [monks]… led a simple, spiritual life. All were vegetarian, slept on the floor, ate from simple earthen pots, had only two sets of clothes, observed virtual silence and were at prayer five times a day.” On Sundays, the monks went into the community, preaching, counseling and consoling. Charged by the synod of the church, Mar Ivanios contacted the Holy See in 1926 about re-establishing full communion between the two churches, provided the Holy See recognize the validity of Malankara Syrian Orthodox orders, preserve its eparchial (diocesan) structures in India and the use of the Western Syrian liturgy. Modern developments. In September 1930, Mar Ivanios, his brother bishop of Tiruvalla, Mar Theophilos, two Bethany monks and a layman entered into full communion with the Church of Rome. Eventually, the entire community of Bethany sisters (founded in 1925) affirmed their communion, but all became homeless as the properties of Bethany were retained by the Malankara Syrian Orthodox Church. Two years later, Pope Pius XI appointed Mar Ivanios as Metropolitan Archbishop of Trivandrum, with Mar Theophilos as suffragan bishop of Tiruvalla, thus establishing the youngest of the Eastern Catholic churches – the Syro-Malankara. This prompted a significant movement of the faithful into the new church, which, at the death of Mar Ivanios in 1953, numbered more than 66,000 people. Under the leadership of Benedict Mar Gregorios, the church grew even more rapidly. A renaissance man, Mar Gregorios spoke Malayalam and Tamil, the vernacular languages of his church community, as well as English, French, Italian, Latin, Portuguese and Syriac, the liturgical language of his church. He corresponded with academic societies throughout the world, collecting the latest research on plant life, agricultural techniques and the breeding of livestock and chickens. Why would an archbishop run a farming cooperative? Today, some 405,000 people, most of them living in five eparchies in South India, belong to the church. A considerable number have also emigrated to other Indian states as well as North America and Europe. In Kerala, the Syro-Malankara Catholic Church is particularly active in education and health care. In addition to Mar Ivanios College in Trivandrum, the church runs an additional six colleges and 270 schools as well as 13 hospitals. The Bethany community’s Health for One Million program – founded by Mar Gregorios’s auxiliary, Mar Ephraem – takes health care to the masses, regardless of caste or creed, providing primary health care services to the poorest of the poor. The dream of Mar Ivanios, to unite the Thomas Christian family, has not been abandoned. The St. Ephrem Ecumenical Research Institute in Kottayam draws Catholic, Orthodox and Protestant scholars from around the world to study the common heritage of the Thomas Christian community. Nurtured by Major Archbishop Cyril Mar Baselios (whose outreach touches Roman and Syro-Malabar Catholics as well as the large numbers of Thomas Christians belonging to other jurisdictions), the Syro-Malankara Catholic Church continues to follow Christ in an Indian way, addressing the community’s problems and seeking solutions while pointing out the necessity of unity. The 19th annual presentation of the Rabi Nemrod Simono Scholarship took place at the Nineveh Club on Saturday July 23, 2005 at 4.00 pm. 3. The third Scholarship prize went to Ramsin Oraha who is studying for Bachelor of Commence at Macquarie University. The Chairperson of the Rabi Nemrod Simono Scholarship Committee, Rabi Jacob Miraziz, also welcomed those present and provided a brief history of the scholarship scheme. He said that on each of the previous 18 scholarship presentations, the audience had been treated to a recorded message from Rabi Nemrod Simono himself from his home in Tehran. Following Rabi Simono’s death in July 2004, this year’s message was from Rabi Simono’s widow, Mrs Lisa Mar Yousip Simono. The next speaker was Mr Youaw Kanna, the President of Assyrian Australian Association, who said that the late Rabi Nemrod Simono was a giant of modern Assyrian literature, and the AAA was proud to be honouring him. He urged this year’s and previous years’ recipients of Rabi Nemrod Simono Scholarship to use Rabi Simono as a source of inspiration in serving our Assyrian nation. Mr Philimon Darmo, the Treasurer of the AAA, followed Mr Kanna by giving a brief historical outline of the Scholarship scheme and the aims and objectives of the scheme. Each of the three recipients then spoke of their feelings on being selected as recipients of this year’s Rabi Nemrod Simono Scholarship and thanked the AAA for establishing such a scheme and administering it for the past 19 years. The next item in the program was the recorded message from Mrs Lisa Mar Yousip Simono, the widow of the late Rabi Simono, recorded in her home in Tehran Iran. She spoke of how much the Scholarship scheme meant to her husband and how proud and moved he was for having a scholarship scheme named after him. The President, Mr Youaw Kanna, then presented the Scholarship prizes to each of the three recipients. The program concluded at 5.30 pm with all present intermingling and sharing refreshments and taking photographs. For more information on the Rabi Nemrod Simono Scholarship and Rabi Nemrod Simono biography, see the attachment. 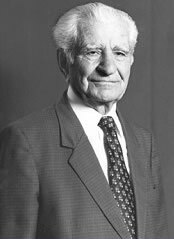 Rabi Nemrod Simono, a distinguished Assyrian scholar from Iran and one of the giants of Assyrian literature in the twentieth century, came to Australia in 1985 as a guest of the Assyrian Australian Association (AAA) in Sydney. The main purpose of his visit was to conduct a course in the Assyrian language and to deliver a series of lectures on Assyrian history and culture to the Assyrian communities in Sydney and Melbourne. The Assyrian language course, which covered such subjects as an introduction to Modern Assyrian Grammar and teaching methodology, was conducted at Fairfield High School from 22 April 1985 to 6 August 1985. The AAA decided to honour Rabi Simono and to commemorate his historic first visit to Australia by establishing an educational scholarship and naming it after him - Rabi Nemrod Simono Scholarship. The first and founding Scholarship Committee, chaired by the late Dr. Albert Daoud, was set up in 1986 to administer and run the Scholarship under a set of guidelines which are updated from time to time. Under the current guidelines, eligibility is open to all Higher School Certificate (HSC) students in the State of New South who have at least one Assyrian parent. Each year, three students with the highest HSC aggregate (now called TER, which stands for Tertiary Entrance Rank) are chosen to receive the Scholarship, provided that they are prepared to pursue higher studies at a university. The one-off scholarship payments for the last two years have been: $1,500 for the first student, $1,000 for the second student and $500 for the third student.. The Scholarship recipients must undertake to learn to read and write the Assyrian language. 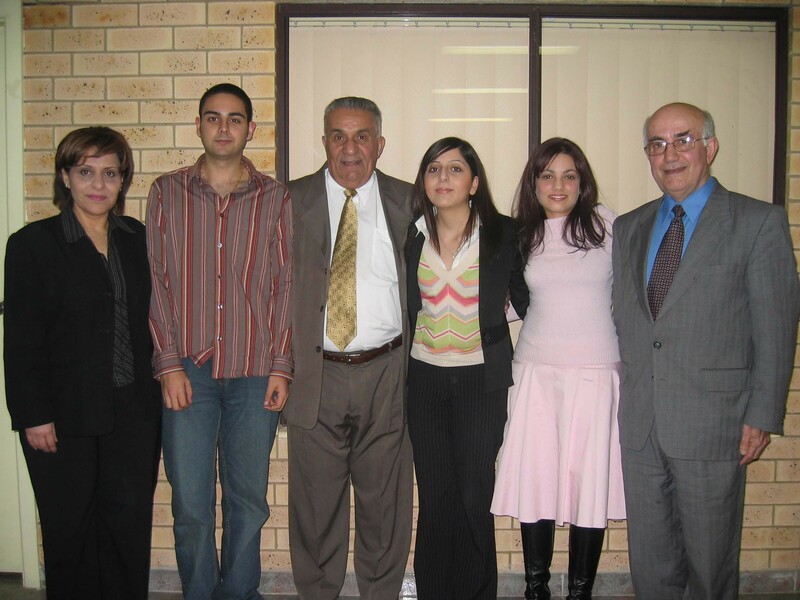 Whilst the Scholarship applicants or their parents are under no obligation to become members of the Assyrian Australian Association, they are urged and encouraged to join, support and be active in the Assyrian community organisation of their choice, especially after they complete their university studies and pursue their chosen career paths. 1. To enhance in our Assyrian children a sense of self-esteem and to encourage them to gain knowledge and skills in their chosen fields of learning. 2. To develop an awareness among the younger generation and to demonstrate to them that our Assyrian community and organisations want them to achieve excellence in all fields of education. 3. To promote community involvement and contribution, both materially and morally, and to encourage young people to pursue higher studies beyond secondary school studies. 4. To develop in the young people a sense of belonging and responsibility to their community. 5. To develop in the young people a sense of personal worthiness through their acceptance and appreciation of and pride in their Assyrian cultural background. As can be seen from the aims listed above, the main theme and thrust of the scheme is education. The AAA is proud to have supported and encouraged education amongst our young people since its establishment in 1969. Education enriches an individual's life, and a society or community were educated people abound is a happier and more enlightened society. The five aims listed above also clearly demonstrate the AAA's desire to encourage a generation of educated people in our community so that they will be well equipped to lead a more fulfilling life and be of more value both to their community and their country. Another significant aim of the scholarship was to honour a distinguished educator in our Assyrian nation. Rabi Nimrod Simono, who passed away in Tehran, Iran on 26 July 2004 at the age of 96, devoted well in excess of 60 years of his life serving our nation in the field of Assyrian language and literature. For brief biographical details and details of his contribution, see paragraphs below. One of the fruitful outcomes of the scholarship scheme has been the creation of The Assyrian Australian Academic Society (TAAAS), which is a mighty achievement by any standard. But we would like to see more involvement from the close to 60 recipients of the scholarship and future recipients. It is not enough to see a few of them involved on the Scholarship Committee. We would love to see all of them to be more visibly active and proactive in the wider community. We would like to see more of them involved in our community organisations, on our radio and television programs. The community needs their skills and their enlightened leadership. Rabi Nimrod Simono Scholarship brings together three of the essential elements that help to bring about a civilised life and a civilised society: education, the educated and the educators. The establishment of the Scholarship must be considered a noble achievement on the part of the AAA. Let us all support community organisations such as the AAA so that our Assyrian communities will continue to harvest the fruits of this noble trilogy, education, the educated and the educators, for many and many more years to come. How Many Have Received the Scholarship? The first intake of Scholarship recipients was in the 1987 academic year. The pioneers of the Scholarship were Assyat David (Commerce, University of NSW), Rosana Khaziran (Engineering, University of Sydney) and Neil Esho (Arts, University of Sydney). Close to sixty students have received the Rabi Nemrod Simono Scholarship since its inauguration 19 years ago. The Scholarship funds come from the AAA’s own budget. 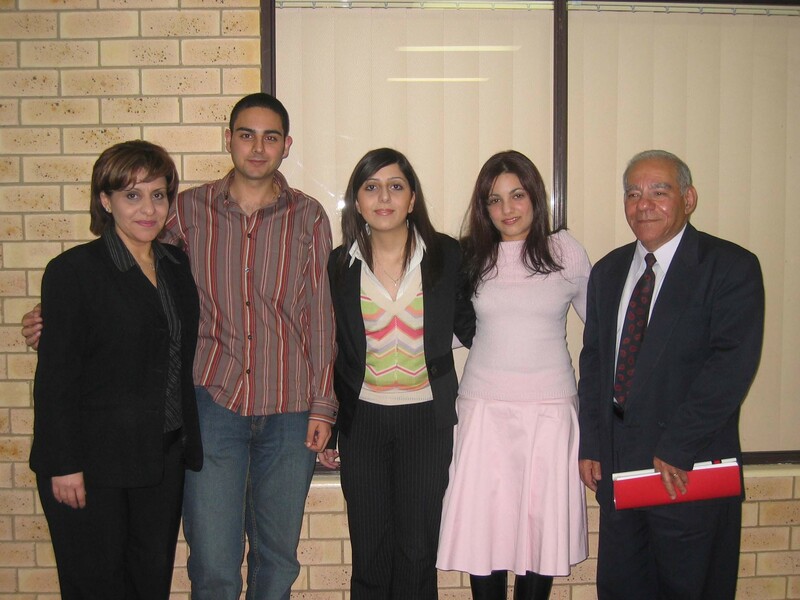 In the earlier years of the Scholarship scheme, donations received from the Assyrian business community helped fund the Scholarship. It is always hoped that recipients of the Scholarship would also support the Scholarship after they complete their university studies and pursue their chosen career paths, so that the Scholarship scheme can be expanded to encourage future generations to pursue higher academic studies. Who is Rabi Nemrod Simono? Rabi Nemrod Simono was born in 1908 in Goolizan, an Assyrian village in the district of Salamas in Iran. He passed away in the city of Tehran Iran on 26 July 2004 at the age of 96 and is survived by his widow, Mrs Liza Mar Yousip Simono and one daughter in Tehran Iran, one daughter and one son in France and one daughter in the USA. He completed his primary and secondary schooling at a school run by the Catholic Church Missionaries. From 1923 to 1931 he studied at the Catholic Seminary in the city of Urmia. In 1931 he was sent to Paris to further his studies in theology at Catholic theological institutions. In 1934 he moved to another Theological College at Dax in France. In 1938 he spent one year at the Dominican University in Rome where he furthered his studies in the fields of theology and philosophy before returning to Iran. Upon his return to Iran, the young educated Nemrod Simono was meant to devote his life in the service of the Church as a priest. However, this was not to be. Instead, he started devoting his knowledge and energies to the advancement of the Assyrian language and literature. Rabi Simono is considered an authority on the Assyrian language (in both its Classic and Modern versions). During the years of his studies in France and Italy he mastered the French, Italian and Latin languages. He is also fluent in the Persian and English languages. (who was the founder and proprietor of the magazine) and his brother, the late Jan Alkhas, whose most significant contribution to Assyrian literature was a series of poems under the title "Min Tkhareh d'Treedeh". 2. In 1969 he and the late Rabi Koorish Benyamin published "Grammar 0f The Assyrian Language As Spoken In Urmia". 3. In 1974 he published "Verbs and Their Derivatives In Today’s Assyrian Language". This book has been translated into French. 4. In 1981 he published a second edition of the "Grammar of The Assyrian Language". 5. In 1983 he published a new edition of "Selected Readings by Mar Toma Audo". 6. In 1984 he published "Biography of Paul Baijan" (in Assyrian and Farsi). 7. In 1991 he published a book on the life and works of the Assyrian poet, Jan Alkhas. 8. In 1996 he published "The Assyrian Grammar, Intermediate Level". 9. In 2000 he published "The Life & Works of William Daniel" (Assyrian author, poet and musician. The late Rabi William Daniel’s most well known musical work is the classic song, Nineveh. His valuable contribution to the Assyrian literature includes the three volume epic of "Katineh Gabbarah"). 10. Numerous articles on a wide range of topics including theology, history, literature and language have been published in Assyrian magazines all over the world, including the Journal of Assyrian Academic Studies. 11. Numerous courses, seminars and lectures presented to Assyrian communities in Iran, USA and Australia. 12. A large number of unpublished works including: The Life and works of William Sarmas and an English/Assyrian dictionary. For further information on the Rabi Nemrod Simono Scholarship please contact the current Rabi Nemrod Simono Scholarship Committee at the Nineveh Club - 673-683 Smithfield Road, Edensor Park NSW 2176, Australia (PO Box 101, Fairfield NSW 2165, Australia). Please ring (02) 9610 4655 or (02) 9610 3288 (Fax number 02 9823 8207) to arrange a mutually convenient time. Or you can write to the Scholarship Committee, Assyrian Australian Association, PO Box 101, Fairfield NSW 2165, Australia. Chantelle Nissan, a Higher School Certificate student at Bossley Park High School achieved excellent results with a University Admission Index (UAI) of 98.45%. The 18 year old was born in Sydney of Assyrian parents (Nenos & Awatif) in 1987 and attended a private school during her primary school years. Chantelle went on to commence her high school studies at Bossley Park High School, a public school in close proximity to her family home in Edensor Park, South West of Sydney. The list of subjects Chantelle chose for her studies were hard topics, which included Chemistry, Advanced English, Mathematics Extension 1&2, Physics and Music. Chantelle displayed a healthy competition with her fellow students and worked hard for her achievements giving them her best shot. Her favourite slogan has always been "If I do my best, then Jesus will do the rest". Amongst her other achievements, Chantelle also attended private piano lessons since the age of seven and has completed 8th Grade Piano and 5th Grade Theory. Her hard work in music throughout the years contributed to the high score she achieved in music in the HSC. She was the first student to achieve a Band 6 (90’s mark) in Music for quite some time in the history of Bossley Park High School. Chantelle was very impressed with her HSC results and her achievement has enabled her to study Bachelor of Pharmacy at The university of Sydney. She has also started teaching piano for beginners and plays for the choir at St Peter & Paul parish. Chantelle would like to give thanks to her parents for their continued support over the years and providing a happy family environment for her at home which helped her concentrate on her studies. I hope that Chantelle will be an inspiration for our young generation to do their best and achieve their future goals.